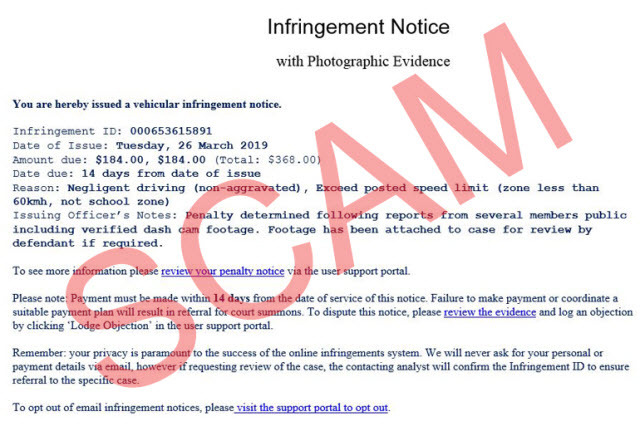 Scam emails advising customers of penalties issued for negligent driving and speeding are targeting citizens. do not respond to the email. You can check offences captured on camera using myPenalty portal. For more information on how to protect yourself from scams or to report a scam, contact Scamwatch.